Amy would have loved it. 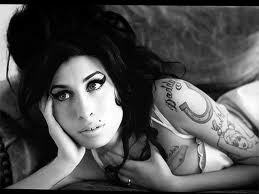 For a long time I knew the name “Amy Winehouse” without really knowing anything about her music. I knew that she was famous and that she frequently got into trouble because of her drug and alcohol habits. I wasn’t really interested. I assumed she was some talentless wannabe like Paris Hilton who just wanted attention at any cost. What I didn’t realize was that I was already a fan of her music. I had just not yet made the connection between the name and the music. It was not actually that long ago that I finally made the connection. I was in a bar in Chiang Mai last year and there was a TV hanging from the ceiling broadcasting some live performance. I recognized the music and started paying attention. Then the ball dropped. “Wait. That’s Amy Winehouse? ?” I thought. Another surprise–she was white! I had mistakenly assumed the singer of these songs I had heard and loved was black because of her incredible contralto vocals. But no, it turns out, there are some white folks who got soul and Amy was definitely one of them. In her short but stellar musical career, she released two critically-acclaimed albums, Frank (2003) and Back to Black (2006), the second of which won several Grammies, including Best New Artist, Album of the Year, and Song of the Year. Back to Black features the Dap-Kings, a band that has been playing funk and soul since the early sixties. If you’ve never listened to Amy Winehouse because, like me, you’d been put off by her notoriety, give this album a listen and be prepared to have your all your prejudices shattered. It really is a masterpiece. 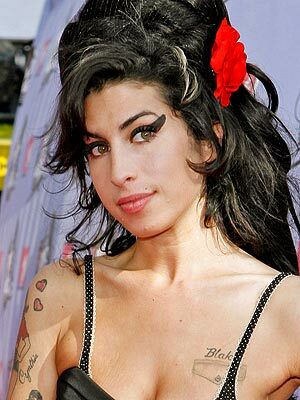 Sadly, Amy died a month ago at age 27 from what many assume to be a drug overdose, though there has been no official verdict on that. Her death was not a huge surprise, given the inexorably self-destructive path she seemed to be on, but a profound tragedy nonetheless. I had just started booking music for Viracocha, a local antiques store/subterranean music venue, when Amy died. Upon news of her death, the idea to do a tribute show honoring Amy and her astounding musical talent immediately occurred to me. The obvious choice to lead that effort was local soul/funk/blues band Con Brio, a band that has quickly gone from playing in tiny venues like the Revolution Cafe to much larger venues like the Great American Music Hall. Give them a few more years and I think they’ll be selling out stadiums! Xandra Corpora, lead singer and guitarist for Con Brio, has an incredible voice that will blow you away. Joining Xandra and Con Brio will be a whole host of guest singers, each singing one or two of Amy’s songs. I can’t tell you how excited I am about this show! Full details are available on Facebook (though there will also be a few surprises in store too!). Tickets are almost sold-out, but at the time of publishing this, there are still a few left. You can buy them here. Don’t miss this!! Borges’ Book of Imaginary Beings, an extensive taxonomy of fantastical creatures from various folklores and mythologies, is the inspiration for Carla Kihlstedt’s latest project, Necessary Monsters, a staged song cycle that recently premiered at the Yerba Buena Center for the Arts. Kihlstedt, a highly-regarded violinist, singer, composer, and bandleader who spent seventeen years working and performing in Bay Area, just recently transplanted to the East Coast to take up a position teaching Contemporary Improvisation at the New England Conservatory. She is best known for her work with experimental rock band Sleepytime Gorilla Museum as well as with the acoustic composers’ collective Tin Hat. Necessary Monsters, a collaboration with poet/lyricist Rafael Osés, is Kihlstedt’s most ambitious project to date. The song cycle is staged for seven musicians and one actor. Each performer plays a different character, each one selectively culled from Borges’ Book of Imaginary Beings. While Kihlstedt’s Necessary Monsters has existed in various forms for a number of years, this most recent incarnation is co-directed by Rinde Eckert, a writer/performer/director renowned for an ouevre that integrates musical and physical theater with philosophical musings that penetrate deep into the human soul. The musicians, each one decked out in idiosyncratic style to reflect their characters’ specific traits, trickle onstage and take up their respective stations. It is The Collector’s job to introduce the characters in turn, giving each both its common and Latin name, its usual habitat, and its distinctive features and proclivities. While each of the fanciful beings—with names like “The Squonk,” “The One-Eyed Being,” and “The Lamed Wufnik”—has bizarre and exotic qualities, it becomes clear that each represents different aspects of humanity, and indeed, different aspects of a single, albeit fragmented self. Osés poetic script and libretto poignantly capture the frailties and foibles of each character, extracting, often with humor, the right emotional resonance while avoiding even a hint of hackneyed sentimentality, and Eckert’s theatrical direction adds a level of physicality needed to bring the various monsters to life onstage. The seven musicians involved in the project are outrageously talented virtuosos and multi-instrumentalists. Many, like Michael Mellender (also of Sleepytime Gorilla Museum), move from percussive instruments to strings, then to brass with such ease you’d think they were simply changing their shoes. Add to the mix Kihlstedt’s singing, which at once embodies something earthly and fragile, and also something superlunary, something transcendent, the combined effect is utterly captivating. Despite Eckert’s welcome directorial input, at times I felt like the staging was a little static. I wanted more physicality, more movement. The musicians, particularly Kihlstedt, do move around onstage, and who could forget multi-instrumentalist Freddi Price, who almost steals the show, as The One-Eyed Being is wont to do, with his hilarious song and dance routine? Perhaps it is an inevitable consequence for that monstrous half-breed, the staged song cycle. It’s not quite a play, not quite a concert, but has essential elements of each. Striking exactly the right balance, no doubt, is difficult to achieve, especially with the challenge of having many cumbersome instruments that need to be positioned in a particular place, which naturally leads to the performers tending to maintain a fixed position. But having seen some of Eckert’s previous work, I think Monsters can move a little more in the theatrical direction without detracting from what makes it work musically. Interestingly, a number of people I spoke to afterwards mentioned that they could have done without Denmo Ibrahim’s performance as The Collector. Granted, these comments came from composers, who might be more likely to find the one actor in the production dispensable (an unnecessary monster, perhaps?). One commented that her delivery was too much like slam poetry, an assessment for which I have no real experience to judge. However, there was something about Ibrahim’s delivery that made her seem more Master of Ceremonies than monster. She does not embody a character in the same way that the various musicians do, which is odd, given that she is the only actor in the bunch. Her role as collector of these imaginary beings is obviously distinct; she is not supposed to be a monster in quite the same way. Yet, surely The Collector is a meta-monster of sorts—the narrating self, if you will—the self that chooses which of the other identities to amplify in a given situation. That conceit, it seemed, was lost in the production. I also found it curious that after Friday’s premiere, I couldn’t remember a single tune I had heard that night. Contrast that with my Saturday night, when I attended Stravinsky’s Les Noces and afterwards repeatedly found myself singing its melodies to myself. It was pointed out to me, by someone who had also attended both shows that weekend and had noticed a similar phenomenon, that we had both previously heard Les Noces, which, to be fair, was not the case for Kihlstedt’s Monsters. Still, given how engaged I was during the performance, I would have expected some melody or other to have stuck, but that was not the case. And while there could be no doubt in anybody’s mind who attended Friday’s performance that we were watching musicians of the highest caliber, there were times when it felt like this was a fact more known to me from past experience than perceived directly on the night. Take Rob Reich (also from Tin Hat) or Dina Maccabee, for example, both sickeningly talented and versatile musicians. I would have liked to see them be given more room to shine in this production as I know they surely can. I’m not sure if it was Kihlstedt’s musical compositions or her own dominating stage presence that gave me the impression that not all of her musicians were being fully utilized, but it was an impression others who know how good these musicians are shared with me. Quibbles aside, Necessary Monsters was a stunning success for such an ambitious project and I’m sure it will see many more successes in the future. YBCA’s Novellus Theater is quite large, so it made sense that there were only two shows in this opening run. However, given the nature of this particular beast, it would make sense to have a more extended run, which would provide sufficient time to allow some of the creases from opening night to be ironed out.